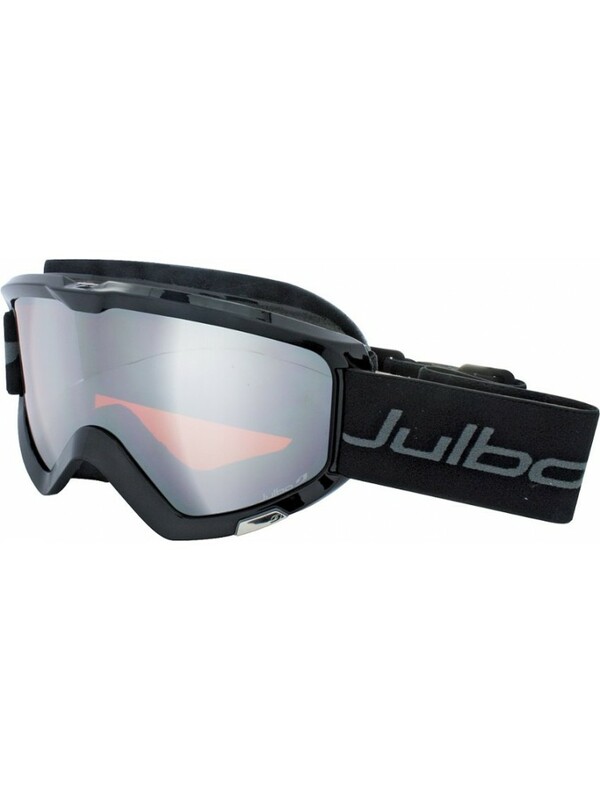 We love the Julbo Bang Over The Glasses (OTG) Ski & Snowboard Goggles because this generously sized goggle will suit most wearers of corrective eyewear. This generously sized goggle will suit most wearers of corrective eyewear - a wide shape and anatomic frame suitable for all types of face shape and helmet, a cylindrical lens, an easy clip attachment and OTG foam to make room for the temples of glasses. A goggle that feels like a second skin. Plastic resin lens more impact resistant than glass and a lot lighter. Polycarbonate is a material often used in sports eyewear because it provides high impact protection and is very light weight. Orange Cylindrique cat3 protects from strong to very intense brightness. Type: Polycarbonate - Ultra-lightweight and virtually shatterproof.